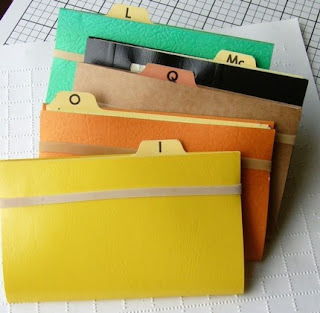 ..."to create beautiful things using salvaged and recycled materials." But their stuff really is awfully pretty. 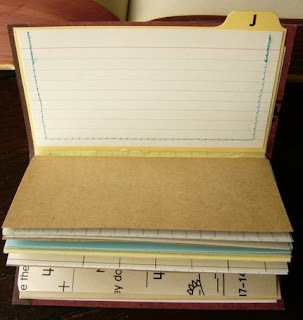 A favorite among the offerings are these excellent pocket notebooks made from old folders, index cards, graph and kraft papers and old school practice writing paper...all recycled.